Blogging quantity and quality is pretty hard to sustain unless you are a really talented individual. You must be armed with enough learned literacy to get your point across succinctly; as well as creative desire to put to words the topics you feel are most relevant to you and any audience you might think you have. Then you need to do this over and over enough that said audience will take it for granted. I don't even pretend to think that I am such an individual. I know my quantity is spotty at best and the quality is workmanlike. But Lauren/Saylah/Alysianah/Illianah/Suri of Mystic Worlds is one such individual. Her ability to describe worlds never visited prompted me to try out Wizard 101, a game I still keep installed to this day. She brought her wit and insight to so many posts over the years that we did just take it for granted. Which is why her decision to shut it all down saddens me. But not as much as finding out the real-life details of what prompted her to start blogging in the first place. I was lucky enough to be in the same guild as Alysianah (that's what I'll always know her as) in WAR. She was one of the first guildies I encountered ingame and on Vent as my (I think level 9) Warrior Priest went on a guild run to get the Shawl of Spring. Her Bright Mage was higher level at the time (level 11 I think) and we ended up running around the Chaos side of Ostland by ourselves before finally joining up with the rest of the guild group. I wrote about it briefly in this post. The memories of this and other Casualties of War events are why I will always remember WAR fondly even if it's a game I doubt I will ever return to. The final post on Mystic Worlds has comments disabled which is understandable. I felt like I needed to thank Lauren for the many years of quality blogging as well as wishing her the best of luck with any future endeavors. So this post is my way of doing so. Don't be such a stranger, you know where to find my comments page and email. Up to now, my enthusiasm for Aion Online has been based on theorycraft. I've read all the information and I've experienced a bit of the low-level content first-hand. I've noted the game engine's superior handling of the number of people needed for mass PVP. I projected this onto what I knew about The Abyss and speculated that epic fights could be had. I just didn't know until these videos exactly how epic they would be. It seems there is a celebration going on to commemorate the 6th anniversary of Planetside. Anyone who has ever had a paid account was given 45 free days and a whole host of new features were unveiled...including upping the BR cap from 25 to 40. The bad news was, their email notification service failed to notify me about it. Fortunately, I got wind of it in plenty of time to partake in the festivities. I had played Planetside recently with the fine folks at Rock, Paper, Shotgun when they had their contest against two other gaming sites. But I noted back then that my inability to remember which of my accounts held my old PS character resulted in applying the RPS code to the wrong account. So basically, I had to level a character up from scratch. While fun in its own right, I couldn't help but wish I was able to access my BR20 CR5 toon of old. So what was it like logging on to a character I hadn't played in about 5 years? Pretty strange. The first thing I noticed was triggering all sorts of new certs that proclaimed my tenure. I got a total of 6; one for every year of service. Ironic that I hadn't played the game in most of that time. Digging around the UI looking to see exactly which term of service cert I had, I noticed Planetside now had an achievement system which also allowed you to display the earned badges on your uniform like medals. Pretty neat. The next thing I noticed was some old stuff was still saved server side. Opening up my locker and looking at the stuff I had stored away like a packrat brought back some fond memories. There were miscellaneous items like captured enemy weapons brought home as trophies of war. I also noted some macros I had made and put on my hotbar were still there even though some of their functionality were not anymore. It's good to be back. Time to head on out to the war. Aion Online's CB4 comes to a close and I thought I'd post my thoughts on it. I really wanted to level up my Cleric to 25 in order to gate through to the PvPvE content in The Abyss but I wasn't really willing to kill myself over it. I figured I'd see how things developed naturally instead of forcing myself to do stuff I didn't really enjoy. I got as far as level 23 this weekend. I absolutely could've dinged 25 with a little more effort and with the help of a good guild maybe. But since I was soloing, 23 was as far as I was willing to go. No regrets as I was able to accomplish everything else I wanted to do including doing some more crafting and raising both my gathering skills up over 100. Level 22 proved to be a watershed level for the Cleric as I spent almost 100k kinah on what must've been 10 new skill books. One of those was a 30 minute self-rez buff further reinforcing the similarity between this class and the WoW Shaman. There was also a great skill called Divine Touch that chained off a basic move which provided some much-needed DPS. I can't wait for future Beta Events and finally being able to step foot in The Abyss. Thanks to Mithoron for pointing these pair of videos out to us in this AionSource thread. Taken during the CB2 and CB3 events, some great looking shots of both the Elyos and Asmodean zones. Pump up the HD option for maximum enjoyment. So what's in a name? If you're one that bases class choice on the name rather than doing some actual research, it can be a lot. Case in point my desire to play a Paladin/Warrior Priest type class in Aion. Since there were only two healing subclasses, my choice was obviously limited to Cleric and Enchanter. From just the names alone, the Cleric sounded like what I wanted. Based on knowledge of Cleric classes from previous MMO's, this would obviously be a front-line fighter who could also heal. 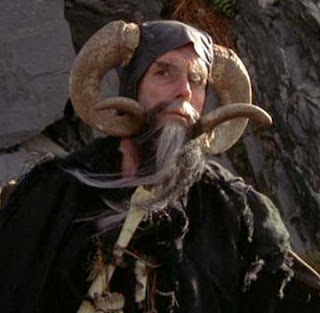 An Enchanter sounded like some finger-waggling, cantankerous, staff user who would hang out in the back and do whatever it is they do back there. The revelation started when I grouped with an Enchanter who had a penchant for pulling mobs and meleeing in the front lines even though we had Templars and Gladiators in the group as well. This guy had a shield equipped so I just figured maybe my UI was just giving me the wrong class info. Further research proved my UI and the guy playing his class was working as intended. It turns out Enchanters were designed to be the Paladin/Warrior Priest class and Clerics were the back row finger-wagglers. Enchanters have auras designed to augment the melee abilities of those around them which definitely cements their place in the front lines. They make credible off-tanks in the absence of a Warrior subclass. I have a feeling that I'll still go with a plate-wearing class in retail but I'll probably roll an Enchanter alt. I think I shall name him Tim. As promised, you can go here to see my meager collection of screenshots taken during CB2 and CB3. Believe me when I say that there were quite a few more screenshot-worthy events that I failed in capturing. I'm surprised I even took this many, to be honest, as I'm really not on first-name terms with my Print Scrn button. Included in the limited play I did of the 20+ zones was a little PVP which was quite unexpected and a nice change of pace. Let's just say if you're trying to run away from the enemy, you better hope there isn't a Priest class nearby. I love having a root on my Cleric.